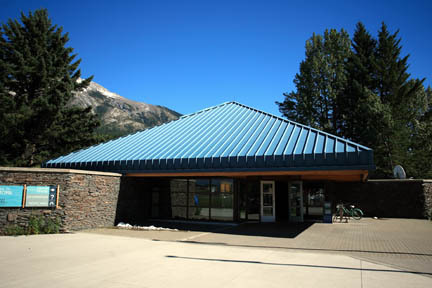 The Travel Alberta Information Centre is on the west side of town. The best source of pretrip information is Tourism Canmore (403/678-1295 or 866/226-6673, www.tourismcanmore.com). A Travel Alberta Information Centre (403/678-5277, 8 a.m. to 8 p.m. May to Sept., 9 a.m. to 6 p.m. Oct.), just off the TransCanada Highway on the west side of town, provides plenty of information about the town. The Rocky Mountain Outlook and Bow Valley Crag & Canyon are the two local newspapers. Both are filled with local issues and entertainment listings; both weeklies are available free on stands throughout the valley. Canmore Public Library (Elevation Place, 700 Railway Ave., 403/678-8920) is open 11 a.m. to 8 p.m. Monday to Thursday and 11 a.m. to 5 p.m. Friday to Sunday. At the top end of the main street, Cafe Books (826 Main St., 403/678-0908, 9:30 a.m. to 8 p.m. daily) stocks an excellent selection of Canadiana, including hiking guides, coffee-table-style pictorials, Rocky Mountain cookbooks, and calendars, as well as nonfiction by local authors. Search out children’s books down the back. The post office is on 7th Avenue, beside Rusticana Grocery. The Lost Sock laundry (in the small mall on 7th Ave. at 10th St.) is open 24 hours daily and has Internet access. Canmore Hospital is along Bow Valley Trail (403/678-5536). For the RCMP, call 403/678-5516. In addition to all lodgings, get online wirelessly at Beamer’s Coffee Bar (1702 Bow Valley Trail, 403/678-3988, 7 a.m. to 10 p.m. daily) and Canmore Public Library (Elevation Place, 700 Railway Ave., 403/678-8920, 11 a.m. to 8 p.m. Mon. to Thurs., 11 a.m. to 5 p.m. Fri. to Sun. ).